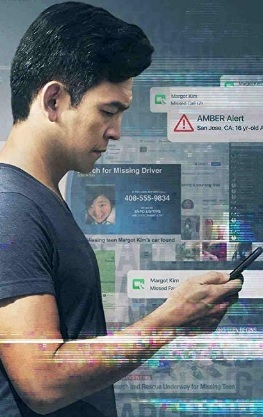 In director/co-writer Aneesh Chaganty’s new thriller Searching, a young girl goes missing, and it’s her father, not the police, that pieces the clues together. Sixteen-year-old Margot (Michelle La) appears to be the perfect student, sharing time with friends, taking piano lessons, even performing recitals to an appreciative audience, all recorded on video and uploaded by a proud father, David (John Cho of Harold and Kumar fame) on YouTube. Then one night after contacting dad on FaceTime and letting him know that she’s at a friend’s house with a study group for the evening, Margot disappears. It’s only when dad wakes the following morning and notices on his phone that he missed calls from his daughter, including an attempt from her to contact him on FaceTime, that he realizes something might be wrong. The bedroom is empty. The trash he insisted she take out is still there, plus her laptop remains sitting on a countertop in the kitchen. She never came home. Fraught with panic, he tries to make calls to his daughter’s phone and sends text after text telling her to get in touch asap, but there are no responses. 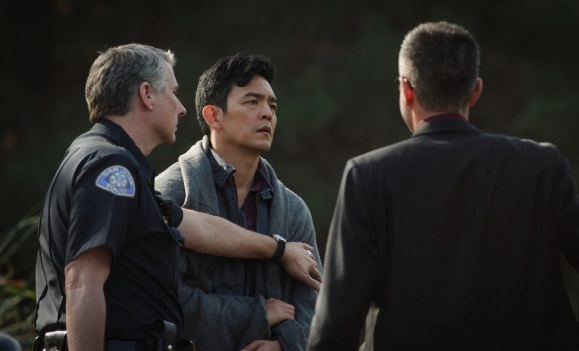 He even reaches out to his weed-loving brother (Joseph Lee) in case there was something he might know, anything that would help indicate where Margot might be. But the brother can’t help. He hasn’t seen her for a couple of weeks. Dad’s frustration is further exacerbated when he realizes he knows none of Margot’s friends. He’s not even sure whose home she called from the evening before or who any of those school friends were. Once enough time has passed for an official Missing Persons file to be opened, Detective Rosemary Vick (Debra Messing) is assigned the case. Together, she and David go over everything he might know, but there’s nothing he can add that he hasn’t already reported. 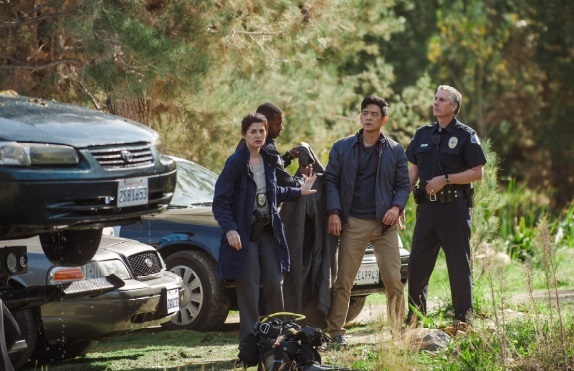 At one point, with no further witnesses to interview, no leads, and not a thing to suggest foul play, the detective, though clearly sympathetic, becomes realistic. “It’s time to consider the possibility that Margot ran away,” she tells David. Then it occurs to him. Margot’s laptop. She left it in the kitchen. If he can hack into her private emails, picture gallery, and whatever else she might have recorded on her private social media platforms, it could point him in a new direction, which is exactly what he does. 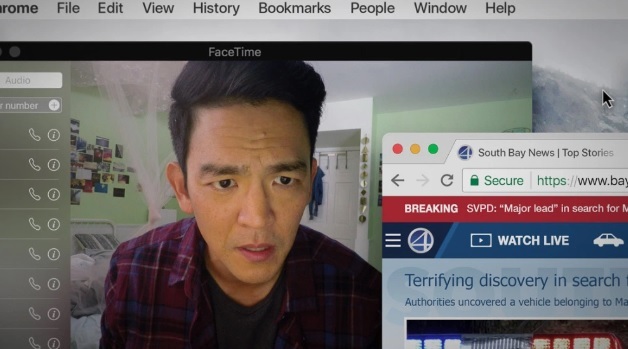 Following its lead from the style used in the teenage horror thriller Unfriended where the whole film was shot from the point-of-view of a computer monitor, Searching adopts a similar rhythm yet cleverly expands upon it. What begins with a touching introductory sequence where dad glances through pictures and videos of his late wife (Sara Sohn) and his young daughter of 5, then 7, then 9, eventually turns into a visually accomplished tour de force of unexpected, skillful invention. Amber alerts are heard. A car journey is viewed from the point of view of a cell phone’s GPS tracker. Dad’s confrontation with a male student in a theater lobby is recorded by a witness and immediately uploaded to YouTube allowing us to fully observe the altercation. The familiar (and annoyingly overused) Breaking News segments of live TV are incorporated in the telling. Along with its scrolling headlines at the bottom of the screen, the station logo, plus time and temperature permanently displayed in the corner, even the television of today looks like a computer monitor. 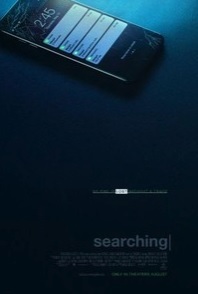 Plus, the disquieting moment when an Apple screensaver of what at first appears to be an animated squid with its colorful, floating tentacles reaching out across the screen’s inky black background effectively adds a layer of uncomfortable, atmospheric suspense as we anxiously wait to see what’s going to appear next. Margot’s story, from a script by Chaganty and Sev Ohanian, is one roller coaster of an emotional ride with a third act twist you won’t see coming. I was genuinely floored.